The N0.86 was developed at the end of ww2. It has a cast iron grenade body fitted with a Striker Mechanism No.2 with an altered spoon. The base is threaded to fit the tailpiece when used as a riflegrenade. 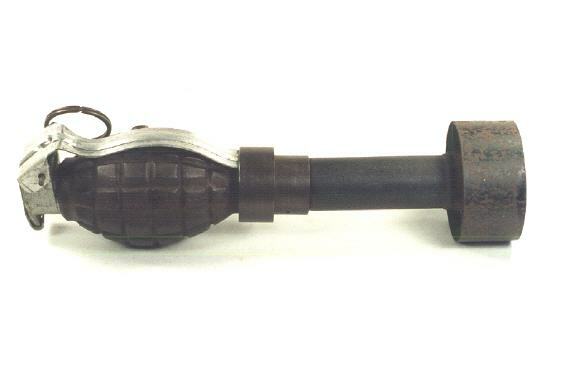 The tailpiece is screwed to the grenade and a movable collar slides over the safetylever. The safetypin is removed before firing, the lever is held by the movable collar. When launched, on setback, the lever releases as the collar stays back, thus initiating the primer.